Starting Indoors: Stratify for 3 weeks. To stratify, place seeds between moist paper towels in a plastic bag and store in the refrigerator. Six to 8 weeks before last frost, remove pre-chilled seeds from refrigerator and sow in pots. Secure containers with plastic covering to retain moisture while seeds germinate. Keep at 60-70°F. Water from bottom once germination has occurred, but do not allow to remain damp, as this can cause fungal problems, such as damping off. Starting Outdoors: Sow in earliest spring when there is still possibility of freezing and frost—surface sow or barely cover and keep evenly moist. Germination rates outdoors may vary depending on weather conditions—be patient. This summer bloomer can be set in the ground in spring when a light frost is still possible and the soil is cool. It can also be planted in early autumn. Milkweed will attract butterflies, especially monarchs that rely on this plant as a larval food source, and it is also deer resistant. In the wild, it grows in fields and open wooded areas. 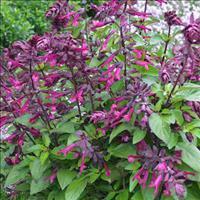 Found in moist,well drained soils to drier, even sandy soils in full sun to light shade. It is best placed in informal butterfly gardens and meadow settings, where it can be allowed to spread at will without engulfing your more refined perennials. In suitable sites it can form dense colonies. A top beneficial insect attracting species, nurturing many species of helpful bugs. Watering Details: These plants prefer fairly moist yet well-drained soil, but can tolerate drought. About an inch of water per week should do. Fertilizer: Milkweed is not a heavy feeder, so a single application of slow-release granular, organically-sourced fertilizer in springtime is sufficient. Or apply about an inch of compost and scratch in. Plant: Upright tannish-green stems 3-4’ tall with thick, broad-oblong, green leaves with red veins, up to 8” long. Leaves are a food source for monarch butterfly caterpillars. Flowering: Drooping clusters of small pinkish purple flowers are presented in the upper leaf axils make great cut flowers. They serve as a nectar source for monarch butterflies. If removed when still green, they can be used in dried flower arrangements. 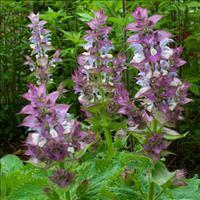 Seeds: Flowers will turn into conspicuous, oblong, warty seed pods 2-4" in length. The pods are great for dried flower arrangements if collected before they open, and contain many silky-tailed brown, flat seeds which are spread by wind.